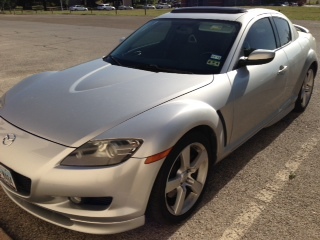 2004 RX-8 with Touring Package for sale by original owner in Dallas-Fort Worth area. Garaged since day one. Very clean and only 71,600 miles. 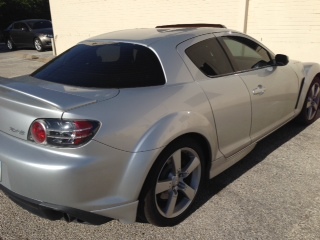 ***Has extended "Total Care" warranty/service package issued by Mazda N.A.- transferable to next owner. sport package, spare tire package in trunk, premium stereo package w/ 6 disc, in-dash CD changer; sliding and tilt glass sunroof. 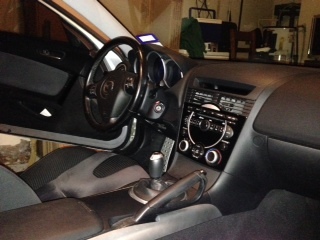 No after-market modifications have been made. New tires at 65,000 miles. 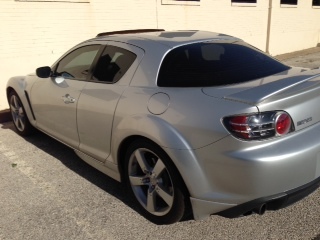 All maintenance done at Mazda dealership - maintenance history available. Asking $8900. Last edited by BrianFW; 10-03-2014 at 11:30 AM.